​Your giving changes people’s lives. It helps Marysville UMC reach out to make disciples of Jesus Christ. As a part of the United Methodist Church, we join the gifts of 16.5 million people in 136 countries around the world. Learn more about worldwide United Methodist giving. Our financial giving also changes us. It slowly creates a total way of life in which we realize that everything we have is from God, that we have been gifted and are therefore called to pass on the gift to someone else: to use our resources wisely and generously. The practice of stewardship reminds us that all we have is not ultimately ours, but God’s. Our money and material possessions, as well as this good earth, are brimming with God’s grace as each sustains us. We are called to use what we’ve been given: grace is never to be consumed greedily or thoughtlessly, but with great generosity toward others and the work of God’s kingdom. A challenging practice, to be sure, but we come to discover that it actually gives us more than it asks. It’s been said that nothing can make God love us any less, and nothing can make God love us any more. That’s true with financial giving. We don’t give because we have to: we give because we can. We give because our giving helps lives be changed - even our own. Why do we invite concrete commitments in advance? As we grow, we want to be responsible stewards for the future. We are developing a comprehensive budget for ministry. This budget is funded by the generosity of attenders and friends, primarily through annual commitments. Commitments (or pledges) are especially important because they help us estimate the resources available and plan accordingly. What if I’ve never given before? That's OK. We can walk you through the process as you make your first gift. It takes only a small step to start the journey. ​How do I make a commitment? Anytime during the year, you can visit this site and set up a recurring gift in the amount you have chosen. Message our Financial Secretary at finance@marysvilleumc.org to record your commitment or ask questions. You can also make a pledge here. 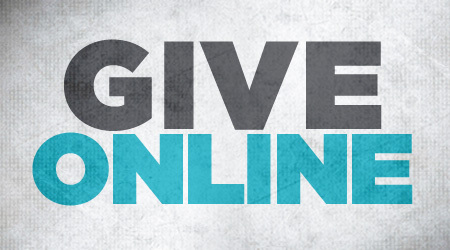 We encourage starting (or moving to) online giving: it’s green, consistent, and safe. Visit this site and you’ll be asked to create a profile and input your information. Take time to pray and discern. We encourage giving a deliberately-chosen percentage of gross income. We are challenged to set a tithe (the Biblical word for 10% of our income) as the giving goal in our lives. Start where you can and begin the journey. Some fully tithe or give more than a tithe; others take an incremental approach - increasing their gift by 1%, 2%, or 3% per year - to gradually move toward 10%. If you need to change your commitment at any time, just let us know. This commitment represents your voluntary giving; it’s not a binding contract. For more information, contact the office at finance@marysvilleumc.org. ​1. Give cash or check in the offering plate during worship. Make checks out to Marysville UMC. 2. Make a secure gift here (one time or recurring). 3. Text your gift amount to (425) 409-2040. 4. Set up bill pay through your bank.